The classic story of Cinderella has been modernized and urbanized in this audiobook. Written and performed by author and award-winning story performer Mark Binder, this audiobook is a powerful, engaging and fun story. 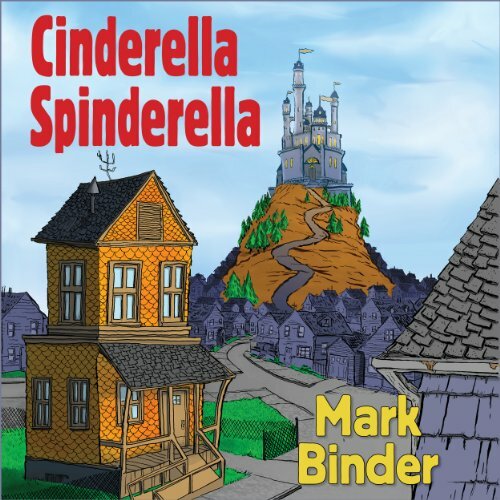 Mark Binder's Cinderella Spinderella began its life as a spoken-word story told to very different audiences - groups of inner city youngsters and their parents and campers with severe physical disabilities. The audiobook is a blend of performance and reading - with all of the voices performed by the author. The audiobook allows listeners to hear Cinderella and the Prince as unique and form their own vivid images. Every youngster can see herself or himself reflected in the story. This is Cinderella who powerfully chooses her identity! Cinderella Spinderella is both classic and contemporary, written and performed with delightful humor and a surprising twist.